Cables, pipes, and wires should be clustered together to preserve space, prevent accidents, and for better cable management. Stainless steel Cable ties will provide durability, security, and dependability in home, office, warehouse, industrial, and commercial settings. 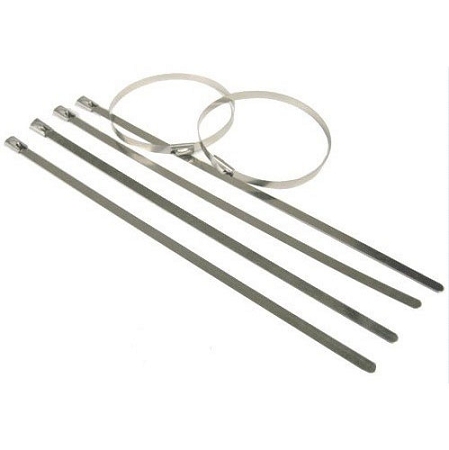 These reliable cable ties are made from a high grade 316 stainless steel to withstand extreme temperatures, corrosion, vibration, and even radiation. The self-locking ball bearing head mechanism with fully adjustable strap keeps all your cable management applications securely bundled together. Different lengths and tensile strengths are available for the cable ties. 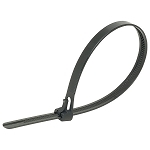 Installing these steel ties is quick and easy with the Stainless Steel Cable Tie Gun.